Below you fill find all funeral homes and cemeteries in or near Allegan. Allegan is also known as: Allegan County / Allegan city. Zip codes in the city: 49010. Allegan County funeral flowers can be purchased from one of the local funeral shops we partner with. Some of the notable people born here have been: (dad hale), (patricia l. birkholz), (alanson weeks), (frank miller (baseball)), and (dan a. killian). Allegan is a city in the U.S. state of Michigan. The population was 4,998 at the 2010 census. It is the county seat of Allegan County. The city lies within Allegan Township, but is administratively autonomous.Allegan was named in a neologism by Michigan historian Henry Rowe Schoolcraft in 1837 to sound like a Native American word. 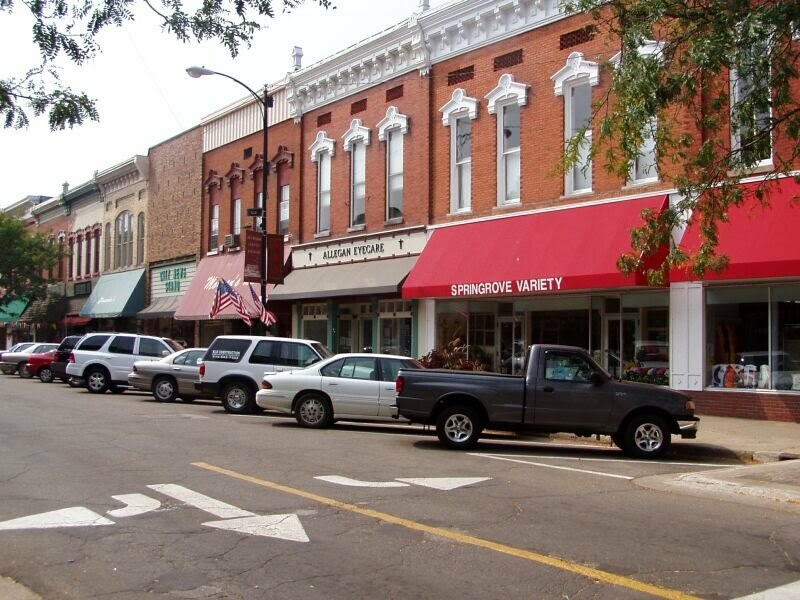 Land was purchased from government to form the downtown business district; village organization came in 1838 with city incorporation authorized in 1907.Allegan is located in the south-central portion of the county. To the west and northwest is the nearly 50,000 acre forest Allegan State Game Area for which the city is considered a gateway. Lake Allegan in Valley Township is also a great tourist destination for boating, fishing, and swimming activities.Allegan's dense forests, lakes, and river geography served as a source of water power, trade routes for steamboats and timber production. Once cleared, Allegan became a center for business, industry and expansive farmland. It was disclosed on March 7th, 2019 that Norman D Salters passed away in Fort Washington, Maryland. Salters was 83 years old and was born in Allegan, MI. Send flowers to express your sorrow and honor Norman D's life. It was revealed by Kalamazoo Gazette on February 14th, 2019 that Evelyn I Hough (Findey) died in Allegan, Michigan. Ms. Hough was 88 years old. Send flowers to share your condolences and honor Evelyn I's life. It was noted on January 26th, 2019 that Cole T Wixom passed on in New Mexico. Wixom was 24 years old and was born in Allegan, MI. Send flowers to express your sympathy and honor Cole T's life. It was reported by Kalamazoo Gazette on January 14th, 2019 that Stephen M "Steve" Miller died in Allegan, Michigan. Miller was 80 years old and was born in Marion, IN. Send flowers to express your sorrow and honor Stephen M "Steve"'s life. It was revealed by Kalamazoo Gazette on January 4th, 2019 that Freida June "June" Hickey (Miller) died in Allegan, Michigan. Ms. Hickey was 89 years old and was born in South Lima, NY. Send flowers to express your sorrow and honor Freida June "June"'s life. It was disclosed by Kalamazoo Gazette on January 2nd, 2019 that Jane Loris miss Reinsma died in Allegan, Michigan. Reinsma was 73 years old. Send flowers to share your condolences and honor Jane Loris miss's life. It was written by Kalamazoo Gazette on January 1st, 2019 that Gloria A Younger (Gowens) passed on in Allegan, Michigan. Ms. Younger was 82 years old. Send flowers to express your sorrow and honor Gloria A's life. It was noted by Kalamazoo Gazette on December 20th, 2018 that Helen miss Darby passed away in Allegan, Michigan. Darby was 90 years old. Send flowers to express your sympathy and honor Helen miss's life. It was reported by Kalamazoo Gazette on December 1st, 2018 that Lorraine A miss Tibbitts died in Allegan, Michigan. Tibbitts was 91 years old and was born in Chicago, IL. Send flowers to share your condolences and honor Lorraine A miss's life. It was noted by Kalamazoo Gazette on November 28th, 2018 that Geraldine Sutter (Butler) died in Allegan, Michigan. Ms. Sutter was 73 years old and was born in Newark, NJ. Send flowers to express your sorrow and honor Geraldine's life. Ironically, Paul America, one of the actors in the underground film, was jailed the following year in upstate Michigan, facing twenty years to life on an obscure marijuana charge. 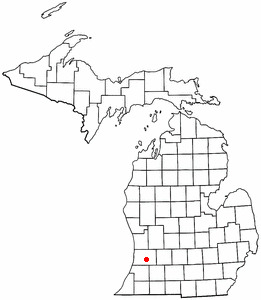 The city lies within Allegan Township, Michigan Township, but is administratively autonomous. The men after whom Allegan's downtown streets were named - Elisha Ely, Samuel Hubbard, Charles Christopher Trowbridge, Pliny Cutler, and Edmund Monroe - patented land in the area in 1833. As of the United States 2000 Census census, the city population was 4,838. In 1914, Allegan entered the automobile (race car) industry as the manufacturing site of Blood Brothers Machine Company E. [http://www.warholstars.org/news/march2006a.html]. The official website for the city of Allegan is http://www.cityofallegan.org/. Find funeral directors & Funeral Directors in Allegan, MI. Read business reviews, find driving directions, and more. funeral directors on YELLOWPAGES.COM. Listing all funeral homes in Allegan, Michigan so you can easily send flowers to any location (same day delivery) or find any funeral service. We work with local florists and flower shops to offer same day delivery. You will find budget sympathy flowers in Allegan here. Our funeral flowers are cheap in price but not in value.